I recently had the pleasure of making my lobster ramen and also getting a little exercise in with my fellow mommy friend, Nicole DeBoom. Nicole is the Founder & CEO of SkirtSports, and like the super mom she is - she manages running a business, staying fit and chasing around her 6-year-old little girl Wilder who is a good buddy of Ellie's. Check out our adventures here as we walk through making lobster ramen at my house and also give you some comic relief. Always a crowd favorite - I've made Lobster Ramen only about 5 times so it truly is a labor of love but so satisfying to see the look on people's faces when they take their first bite. The lobster shell infused Shio Base is layered with flavor, the thinly shredded red cabbage adds a vibrant pop of color and the lemon zest gives it all a fresh brightness that pairs well with the lobster. It's decadent, delicious and definitely one of my favorites. Shio Ramen Soup Base – See Recipe for Shio Ramen Soup Base. Ramen Noodles (optional) – See Recipe for Ramen Noodles. Or noodles can be purchased. Roasted Garlic Butter (optional) – See Recipe at bottom. Split the lobsters down the center of the back by turning over and cutting in half lengthwise through the shell with kitchen shears, starting from head and leaving the tail intact. Thread a soaked skewer through the underside of the tail through the bottom of the shell. Brush the underside portion with the exposed meat with clarified butter. Wrap in foil and set in a roasting pan in one layer. Bake for 15 minutes. Let rest for 10 minutes and remove the lobster tails from the foil, reserving the drippings to add to your stock. Make the Lobster Broth: in a large soup pot over high heat, combine the stock, butter, mirin, kombu, dried shitake mushrooms, bay leaf and reserved lobster drippings. Bring to a boil and reduce to a simmer. Carefully remove the lobster meat from the shell by sliding a knife under the meat and gently lifting it out of its shell. Do this over your roasting pan to save any of the juices that drip. Add the shells and any of the lobster juices to your stock. Cover and simmer for about 30 minutes. Have all of your toppings ready so that they can be quickly placed on top of your ramen when it's ready. Place a pot of water to boil for your noodles. Line a colander with cheesecloth and set it over a pot large enough to hold the stock. Strain the lobster stock and return it to the stove. Add 1/2 cup of your pre-made Shio Base. Right before serving, crank it back up to boil. Boil the noodles—if fresh, boil for about 1 minute; if packaged, boil for about 2 minutes. While the noodles are boiling, pour two cups of piping hot soup into each bowl. As soon as the noodles are done, shake out all of the excess water and lay a portion into each bowl of hot soup by folding them on top of each other so they do not look messy. Top each bowl with a lobster tail, shredded purple cabbage, a small mound of spinach and arugula mixed together. Add zest of lemon and a dollop of roasted garlic butter and squeeze a lemon wedge over each bowl before serving. 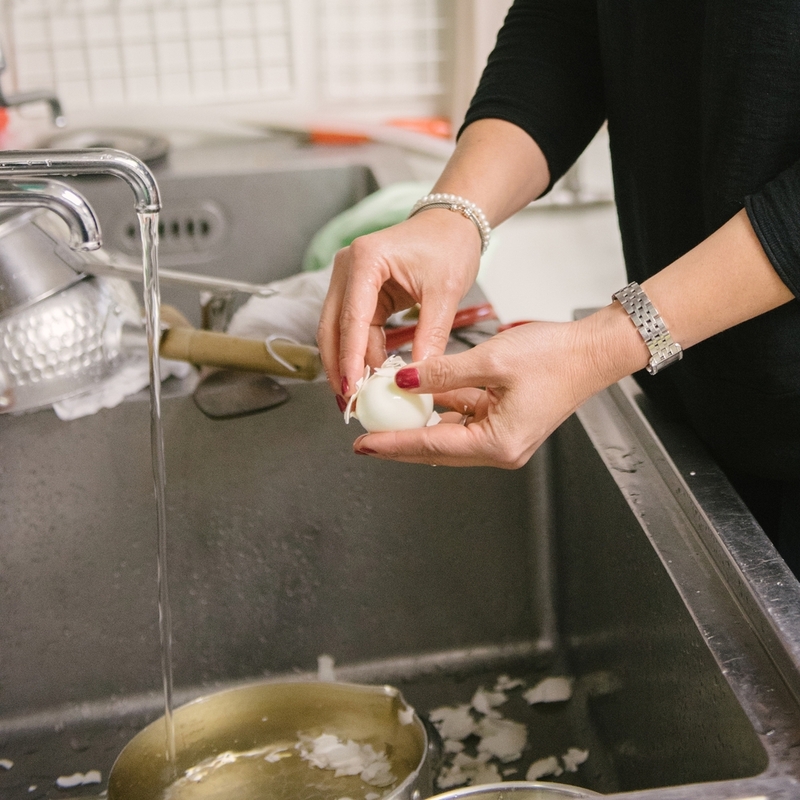 Many ramen shops offer cloves of fresh garlic and a press at the table so you can squeeze the garlic right into your ramen. I prefer the more subtle flavor of roasted garlic (plus I don’t like sweating garlic all day). This butter adds flavor and richness to any ramen soup and it’s delicious spread on bread or toast. Quantities can be increased for more portions or to save for later. This can be refrigerated for up to 2 weeks. Cut about ¼ inch off of the top of the garlic bulb to expose the cloves and place the garlic on a piece of aluminum foil. Drizzle the bulb with olive oil, season with salt and pepper and wrap with the foil to cover completely. Place on a cookie sheet on the center rack and bake for 1 hour until the bulb(s) start popping up out of their skins and are caramel in color. You can take a peek to check. Remove from the oven and let cool for 15 minutes. Squeeze the garlic cloves out of their skins onto a cutting board. With the back of a knife or a fork, mash the cloves into a paste. Transfer to a small bowl and combine with the butter until well incorporated. Store in a covered container and refrigerate for up to 4 weeks. Bring to room temperature before using. 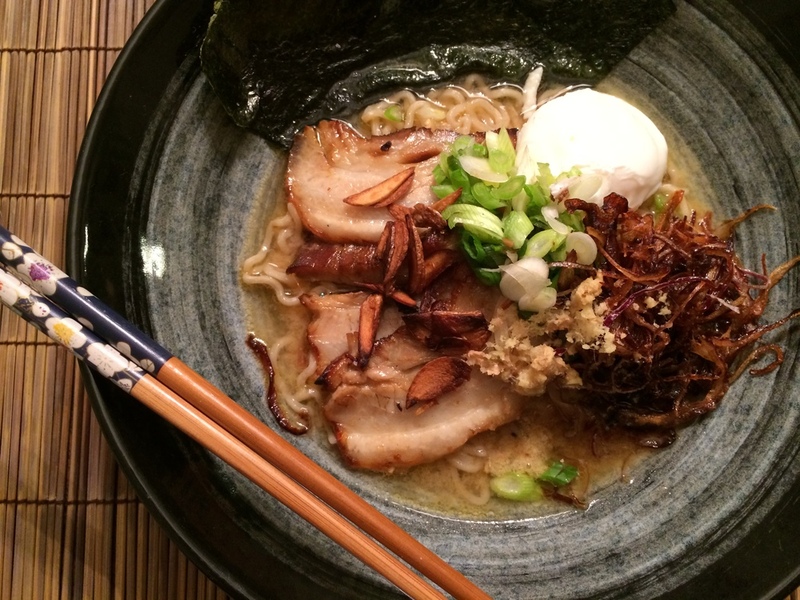 ORDER YOUR BLUE APRON BY NOON ON MAY 31ST TO GET OUR KAHN FAMILY PORK AND MISO RAMEN! Send me an email at epjoishii@gmail.com and I'll send you a free voucher to try! If you get a chance to order it for the week of June 5th, we hope you enjoy it! WE HAD TO MAKE HOME MADE WHIPPED CREAM AND HOLD IT OVER OUR HEAD! WE HAD TO TALK ABOUT OUR FAVORITE SUMMERTIME INGREDIENT AND HOW WE USE IT. WE HAD TO TALK ABOUT WHAT OUR FAMILY DOES TO HELP OUT WITH MEALS. WE HAD TO CORE LETTUCE, DE-STEM KALE, PEEL A CARROT AND SOME GARLIC. WE HAD TO PLANT SOME PEA SHOOTS AND WATCH THEM GROW! When we got the email from Blue Apron telling us we won, we were beyond thrilled. They arranged to fly us to NYC, put us up in a hotel and take us to their secret Blue Apron test kitchen where we would create a recipe with them. We had such a fun time seeing where they keep all of their many spices and ingredients, learning about their recipe creation process (how they are limited to 10 ingredients and 10 steps or less) and watching the photographer take pictures of the final recipe. This summery take on ramen was developed in collaboration with the Kahn family of San Francisco, Calif., winners of the 2016 Blue Apron Kids Cooking Camp. A satisfying, earthy broth gets its savory flavor from three ingredients: miso paste, dried shiitakes, and kombu—a type of dried seaweed with a delicately briny flavor. It's the perfect base for fresh, springy ramen noodles topped with seasonal asparagus, cooked to retain its tender bite. Sweet-tart marinated cucumber, served on the side, adds a refreshing crunch to the dish. Scroll through to see the epic day with had creating Pork and Miso Ramen with the Blue Apron team! With this recipe, I’ve slow-cooked oxtail sections within my broth in a good slow cooker, which helps render the fat from the bones without having to constantly stir. You could also make this in a crock pot, large Dutch oven, or heavy-duty pot. The oxtail adds a meaty goodness and complexity to the fat component that complements the soy sauce. You’ll have to go to an Asian market to find dashi, or Japanese stock, which comes in granular form—there are many varieties to choose from, so just make sure to pick one that has bonito sh as the primary ingredient. It’s also important to have dried shiitake mushrooms, as they’ll give a more intense avor to the soup than fresh ones. The nal soup will taste overly salty, but when the noodles are added in, they will soak up the sauce and balance it out. In a crock pot, slow cooker, large Dutch oven or heavy-duty pot, combine the bacon fat, carrots, onion, green onions, apple, celery, garlic, and dried shiitake mushrooms. Add the whole chicken, oxtails, and lemon, then pour over the chicken stock, followed by the soy sauce, dashi, salt, pepper, and bay leaf—the stock should almost cover the chicken. 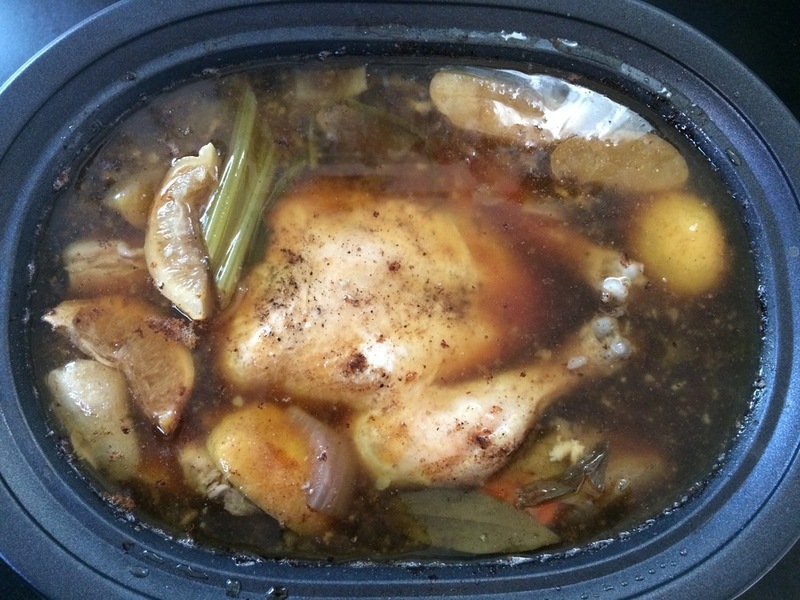 Set the crock pot or slow cooker to high and let cook for 10 hours. If using a large Dutch oven or pot, bring to a boil over a high heat and set in an oven preheated to 200F (90C) for 8–10 hours. When the oxtail meat easily falls off the bone, your soup is done. With a slotted spoon, remove all of the larger solids and discard. Strain the remaining solids with a finer sieve into a large pot. You should have a light brown, glossy, and fat-rich soup. At this point the stock can be refrigerated for up to 2 weeks or frozen for 1 month. In a separate saucepan, bring the Shoyu Base to a boil, then lower the heat and let simmer until it’s ready to serve. Right before serving, crank it back up to a boil. Pour 2 cups soup (475 ml) over each bowl of noodles. Top each bowl with desired toppings. 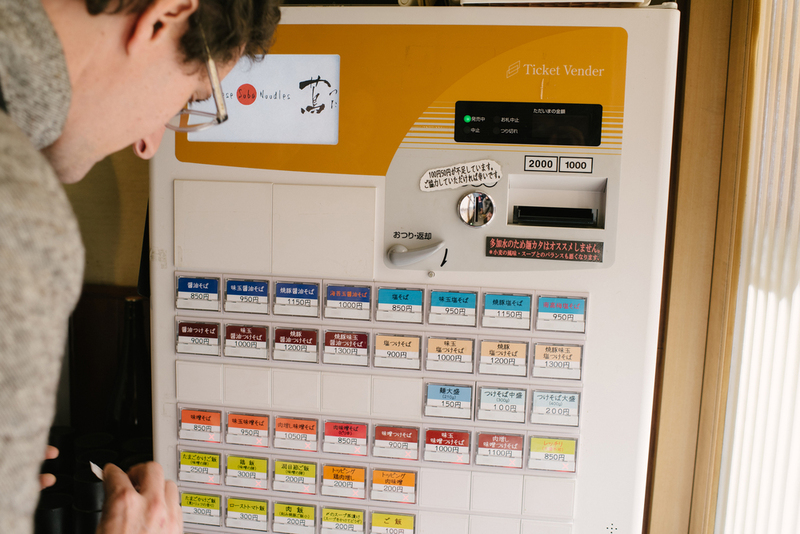 Want to try the real deal in Tokyo, Japan? My colleague Brian MacDuckston from ramenadventures chaperoned us to these six ramenya’s. I’d highly recommend them for a nice well-rounded tour to experience the different types of ramen available in Tokyo. Most Tokyo ramenyas have very minimal seating, with seats at a bar and no waiting area. The chef is always present and is typically only accompanied by one or two apprentices, depending on the size of the shop. It’s quiet. 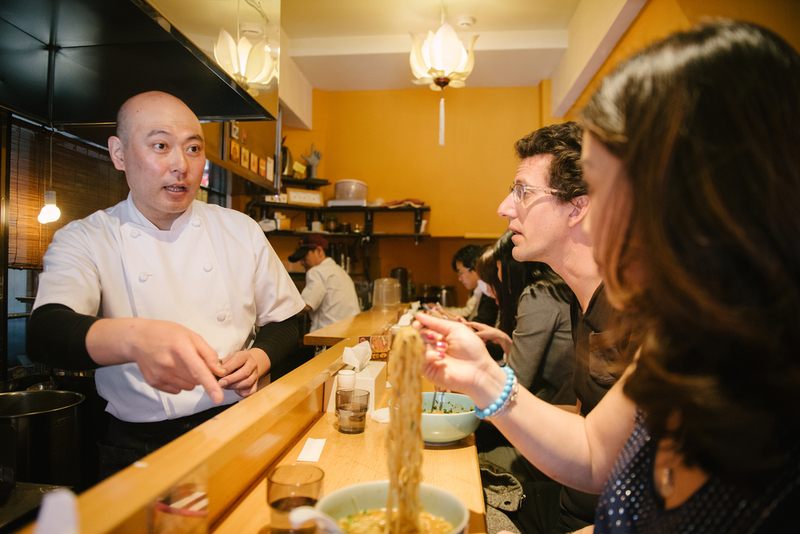 The Japanese like to face the chef and eat without talking or socializing. It is the same at sporting or concert events in Japan, people stand side-by-side but there isn’t much interaction as they enjoy the show. It is their way of showing respect to the performer, and at a ramenya, to the master and his expertise. Customers respect the line and wait without complaining, no looking at their phones or talking too much. They place their order and pay at a small ticket machine at the front of the shop, make a line outside and sometimes line up along the wall in the back of the restaurant as their turn draws closer. When a seat opens up, they are prompted. You sit down quickly, hand over your ticket, and wait for your ramen. Within minutes, the bowl is presented on a raised bar in front of you. They dig into their ramen, and finish within 15 minutes. With a polite “gochisosama”, they exit and the next person sits. This efficient system keeps the line moving quickly. Some ramenyas are set up in more of a restaurant style with a waiter, a menu, and proper drink service. You are welcome to stay longer at these establishments but my advice is to show respect and do as others do. Eat, enjoy and get out. You can talk later. Don't let the name confuse you. 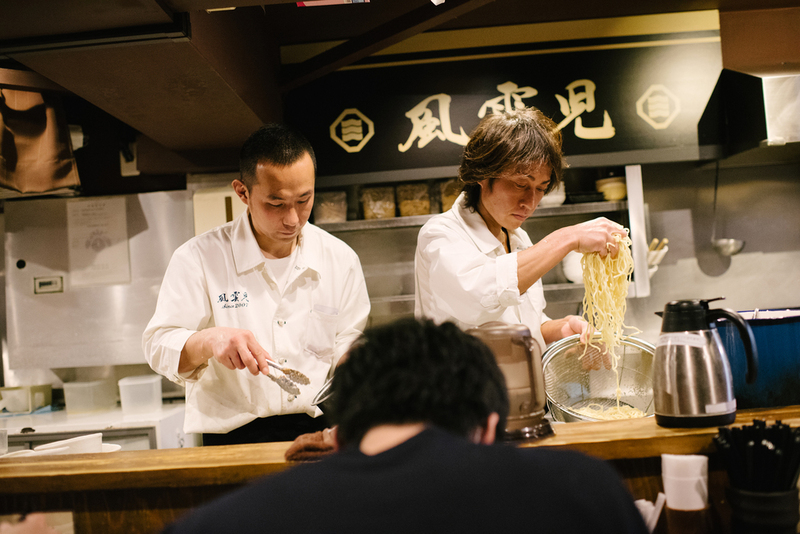 "Soba" translates to noodles, so this is a ramen shop, not the traditional "soba" noodles you are thinking of. This was our first ramen stop in Tokyo and probably the most formal of all of the ramenya’s we went to. It had a long line at 11AM, it was the first time we used the ticket machine to place an order, and everyone was quiet as a mouse, except for the slurping of course. We were advised by Brian to only take pictures of the ramen but to do this very quickly. Our bowls were placed on the raised bar and it was as if we were paying homage by reaching for it with both hands and placing it in front of us to consume. My traveling partner and photographer for the trip, Andi and I each shared the Shoyu and Shio varieties and thought they were divine. The soup wasn’t too heavy so we were able to finish them both, the egg filled with liquid gold and just enough negi (green onion) and chashu. The Shio version had a delicious green pesto type topping that I think was made with anoriko, a powdered seaweed. This was my first taste of tantanmen, a Japanese adaptation of a Szechwan style spicy noodle dish known as Dan Dan noodles. I don’t tend to like super spicy food, but the Premium Si Chuan Style bowl was not too overpowering and the sansho chili pepper gave it a earthy, lemon taste that just slightly numbed my tongue. I loved that it was served mazemen style (or without soup) so that the spices and the sauce were folded into every bite. I was just as fond of the owner, Master Okada-san. It’s also not a strict sit, eat and get out establishment, which was refreshing! I read about this place on ramenadventures.com before my trip and was so excited to taste their tsukemen, or dipping noodles with Brian himself. Unfortunately, he had another appt to go to but he made sure we purchased the right ticket at the machine in the back and ushered us in. It was worth the wait - a complex and layered chicken-bone soup with deep fish flavors and an intensity that made every noodle laden bite satisfying. Brian would later tell me that the soup is actually a tori paitan, with chicken bones cooked in the same way you would pork bones for a similar soup. It is then added to a 2nd fish soup to give it that smoky flavor. This was the first place we’d been to where the line continued to the back of the bar where everyone watched over the customers in anticipation as seats would free up and our line would slowly move ahead. The master was super serious, very concentrated and intently involved in his preparation for us. I was mesmerized. 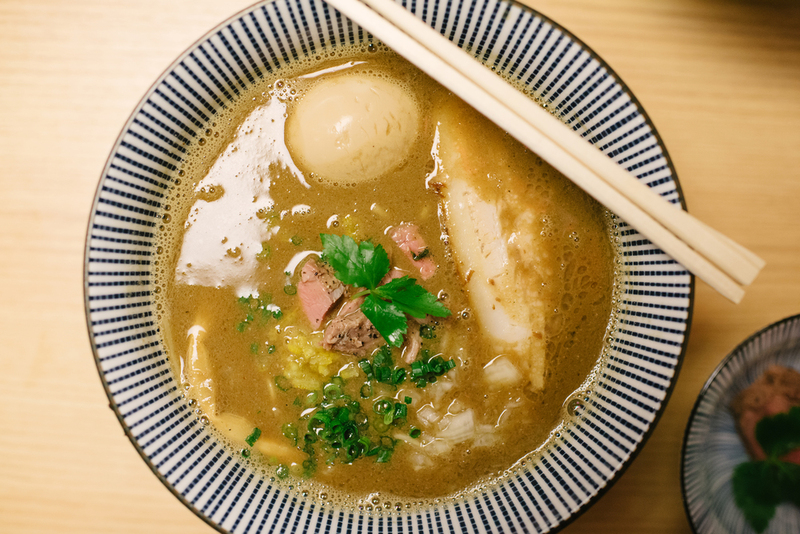 This ramenya is famous for its Cheese Miso Tonkotsu Ramen. A special type of local artisan cheese called Golden Gouda is incorporated into the soup and also piled high on top. It’s shaved to almost a powder form right at the bar so it sinks and melts into the soup to give you a rich, thick satisfying meal. You won’t be hungry an hour or five later. They serve tori paitan here which is ramen with a creamy chicken soup. There are only two menu items and they were out of one so we ordered the torishiroramen - their signature creamy chicken soup with a shiodare. There were delicate pieces of perfectly tender chicken and thin fried onions and shredded negi (Japanese green onion) on top with a crispy piece of garlic toast and some sweet minced garlic on the side. It was a graceful dish and very well orchestrated. The restaurant is more upscale in a seated restaurant style space. The line here took a little longer because of this but it was well worth the wait. 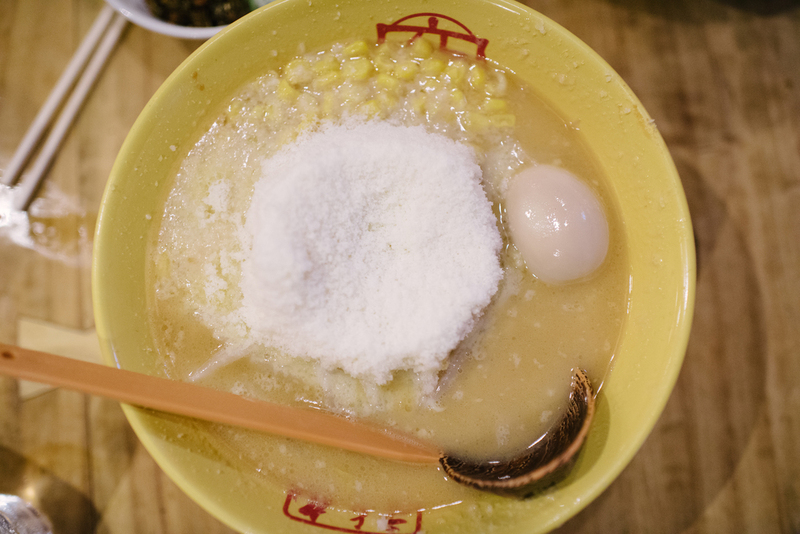 They were voted best rookie tori paitan by Tokyo Ramen of the Year magazine in 2014, deservedly so. These days you can find roasted and flavored seaweed in grocery stores, coffee shops, even vending machines. I prefer to roast my own because I feel like some of the varieties out there are too oily or don’t stay crispy when you eat it with steamed rice. If you purchase a package of seaweed made for sushi in big sheets, you can roast these over an open gas flame in seconds. I promise you'll never go back to those instant packs. These are crispier, tastier and you can make much more for the cost. Spray both sides of each sheet of seaweed with cooking spray or take a folded paper towel with some sesame oil on it to apply. Over a low flame on a gas stove, gently waft the seaweed back and forth on both sides until the seaweed crisps up. Set the finished roasted seaweed sheets on a paper towel and repeat with additional sheets. Sprinkle each sheet with sea salt and stack them about 4 or 5 high. Cut into fourths with a sharp chef's knife or with kitchen shears. Cut bamboo shoots in half lengthwise and julienne into thin strips. In a large sauté pan heat sesame oil, stock, shoyu, sake, sugar, and salt and combine. Set to medium high. Heat uncovered until bamboo soaks up most of the liquid, about 20 minutes. 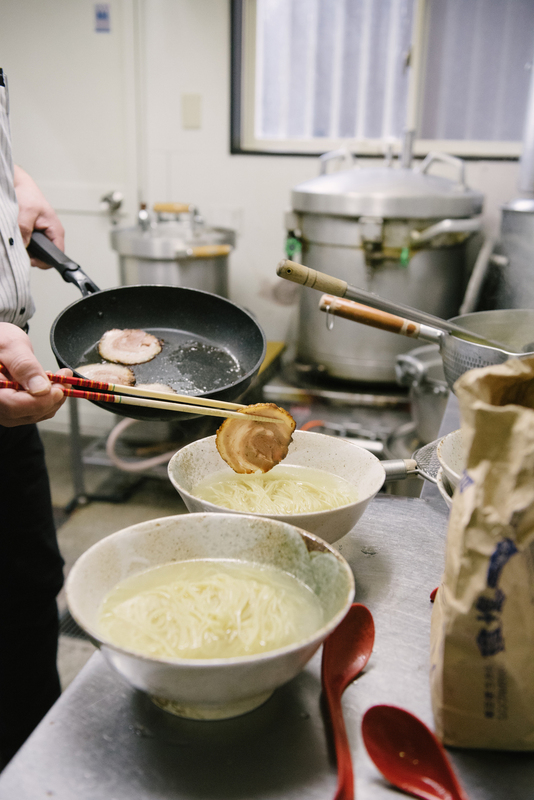 Chashu is one of the most popular toppings found atop ramen. It can vary in flavor, size, fat content – one ramenya might serve three thick, juicy pieces, another might give you two wafer thin slices the size of half your bowl. Its origin, just like ramen, stems from the Chinese Char-siu, roasted or barbequed pork. You may recognize Chinese Char-siu by its signature red exterior and lean meat, but Japanese Chashu is completely different. It’s not red, has more fat and tenderness, and is typically braised rather than barbequed. Braising calls for cooking it in liquid at low heat until the tough collagen in the meat breaks down. The result is a melt-in-your mouth, porktastic experience. 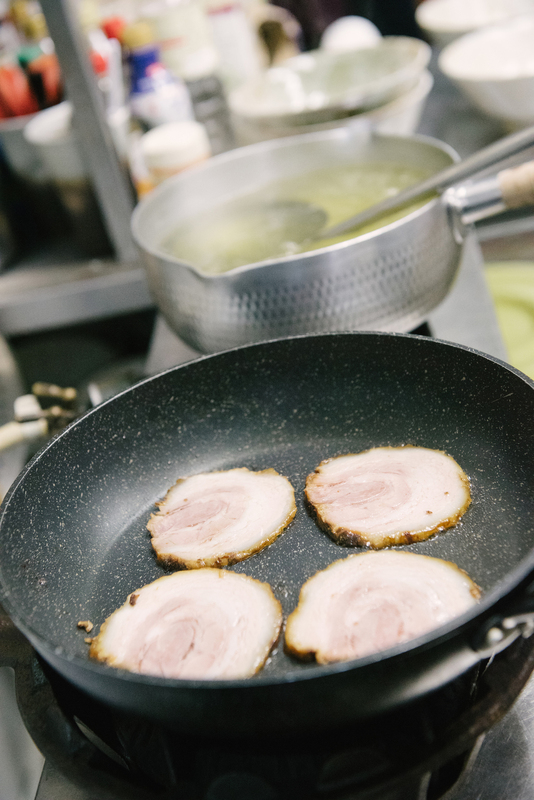 Chashu can be made from different cuts of pork and is traditionally tied so that it can be sliced into rounds. Kakuni is also pork but literally means “square simmered”. It’s cooked in fashion similar to Chashu but but the pork is cut into squares before they are braised. If you are making either Chashu or Kakuni, save the reserved braising liquid. It’s like liquid gold. 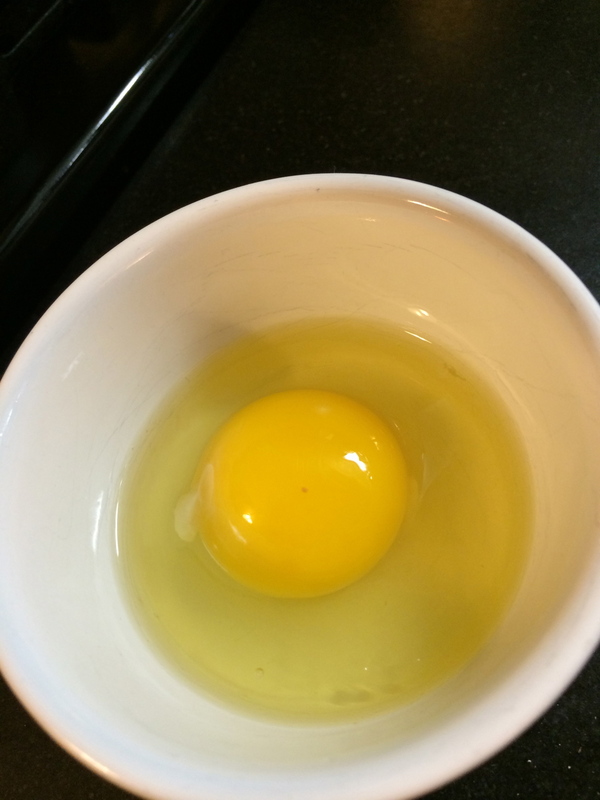 Use the liquid for marinating half-cooked eggs or for combining with Shiodare (See Tonkotsu Ramen recipe) to make a very basic Shoyu Ramen Base. 1. Combine the water, shoyu, sugar, mirin, garlic, onion, ginger and pork in a large pot over high heat. Bring to a boil, reduce to a simmer and cook until pork is tender, about four hours. Skim any scum that floats to the surface. 2. Remove pork from liquid. Insert a medium thick wooden skewer into the center the of meat. If it comes out clean, the pork is done. 3.. When you are ready to use, take the pork out of the liquid. 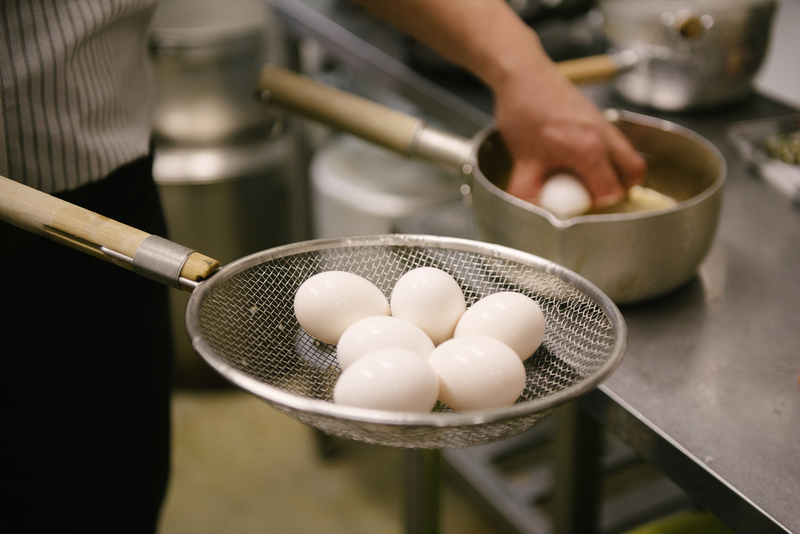 Save the liquid for marinating half-cooked eggs or adding to your Shoyu Ramen Base. Do not throw this away! Let the pork rest for at least 2 hours or overnight in the braising liquid in the refrigerator to make it easier to slice. The latter is the preferred method as the pork will continue to soak up the juices. 4. Saute your sliced pork in a skillet for about 1-2 minutes to render the fat and make the slices crispy before placing on top of ramen. The Chashu should be cut into ¼ inch rounds and the Kakuni can be cut into smaller cubes. Use as many slices as you’d like to serve on your ramen, typical amounts vary from 1 to 3 slices. So, by now I think you’re discovering that making ramen from scratch is a pretty intensive process. If you're following my steps to making it a bit easier, you've tackled Step 1 - making the miso ramen base for the soup. Remember, miso ramen is just 1 of the 4 main soup bases for ramen. There are still 3 other soup bases to learn about (shio, shoyu and tonkotsu) but at least you're on your way to making a good bowl of the miso variety. The others, we'll move onto after I show you how to complete your first bowl. Being a mom of 3 kids doesn’t lend itself to making fresh noodles every time I make ramen, so I reserve this for when I need to keep my pasta machine from rusting and get my kiddos in the kitchen to help. Otherwise, I'll use a ramen substitute like getting freshly made ramen at a local asian market or venturing to Japan Town in San Francisco to buy them fresh from one of the many markets there. You could even use a package of dry instant ramen noodles and throw the seasoning packet out but as with anything, fresh is better. My advice for Step 2 - making homemade ramen noodles is to take a weekend day to get these done ahead of time and then freeze them in individual portions (for up to a month). Then when you are ready to use them, it won’t feel like you’ve slaved away in a kitchen all day. Plus you should have already made your miso base so you're almost there! You do need a pasta machine and it’s super helpful to have an electric mixer with a dough hook, unless you want to develop Popeye forearms. Pasta machines all have a similar notched number system for the width of noodle so you will be fine using the widths I recommend in this recipe. 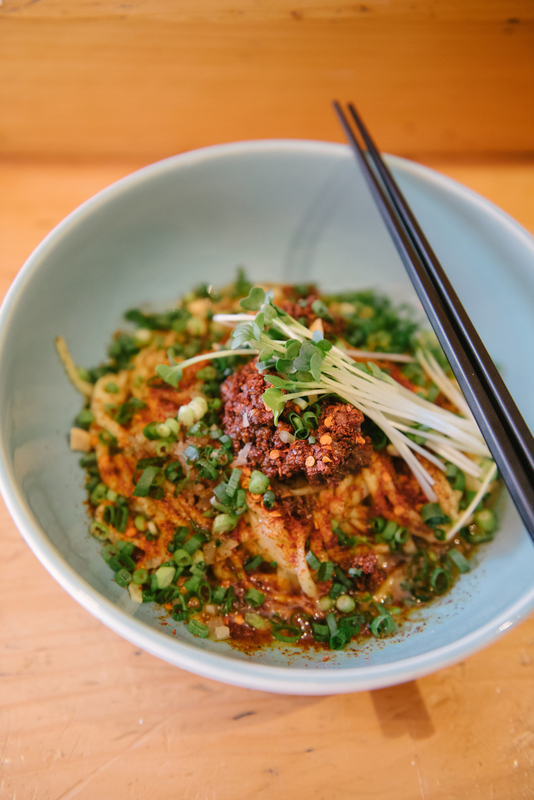 If you do decide to venture down the homemade noodle path, then know this. A perfect noodle has a yellowy hue, is cooked on the al dente side and has a chewy, elastic yet firm texture that will hold up to the soup without turning limp or soggy. First you need to make some ‘baked baking soda’. 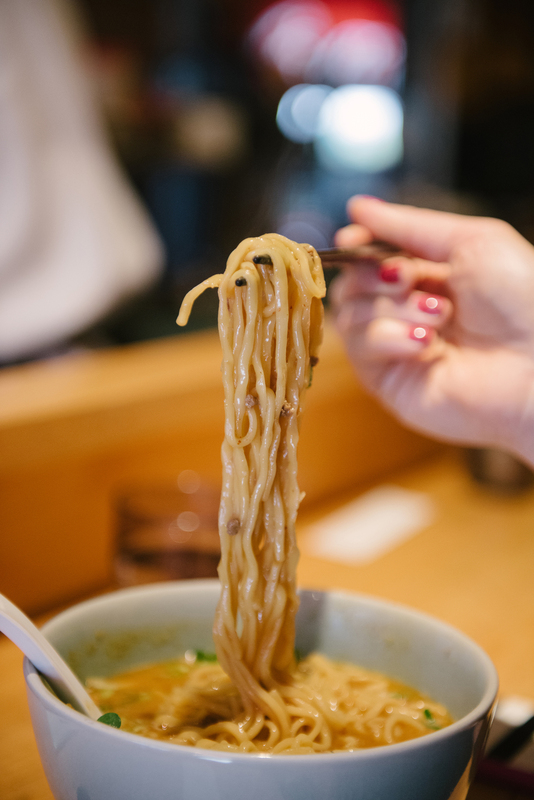 This replaces a Japanese ingredient known as ‘kansui’ that gives ramen noodles their signature yellowy hue and firmness but is often difficult to find. Harold McGee, the king of kitchen science, discovered that by baking baking soda, you could get the same affect as the kansui. Spread about 1/4 cup of baking soda on a foil-lined baking sheet and place it in the oven at 275 degrees for 1 hour. You can save the remainder in a ziplock bag as this recipe only calls for 2 teaspoons. Just fold up your tinfoil to make it easier to put in a storage bag. 1. 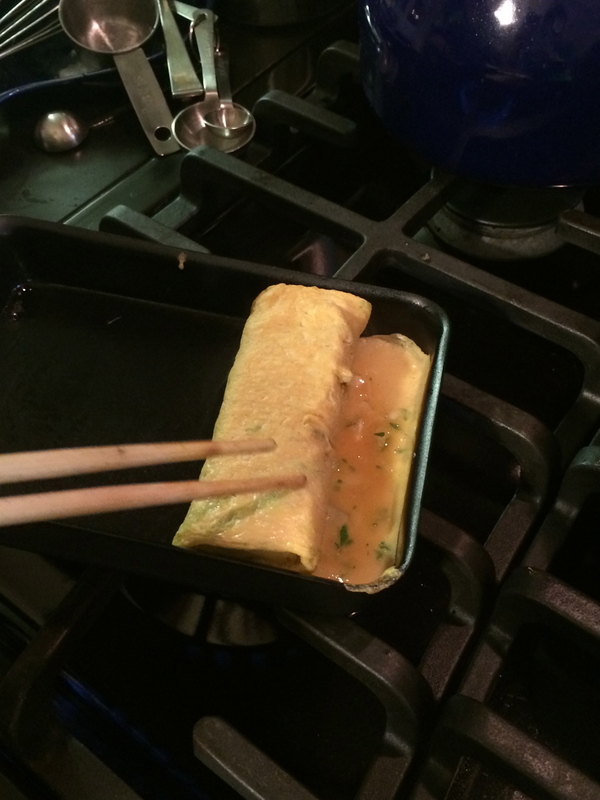 In a small bowl, combine the baked baking soda or kansui powder and water until it dissolves. 2. 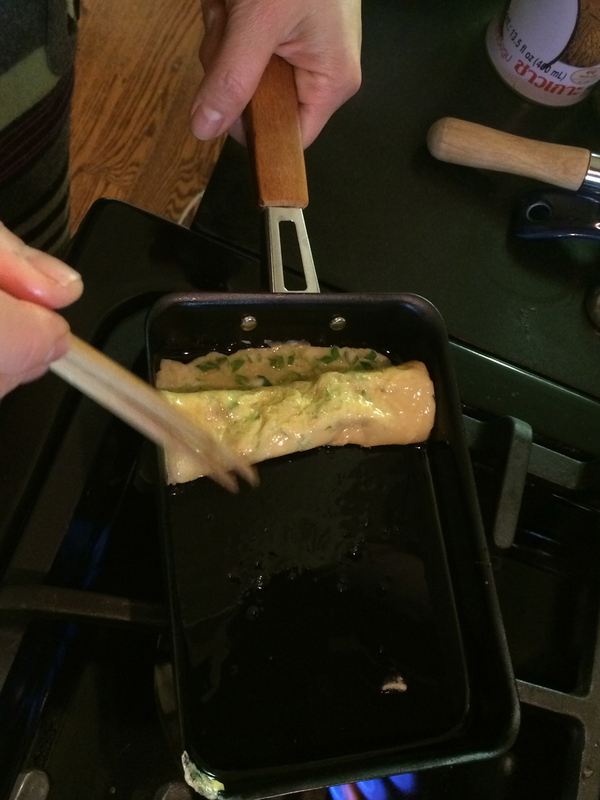 In a stand mixer fitted with a dough hook, combine the bread, cake and wheat flours, kansui water and salt. Mix for 10 minutes on the lowest speed until the dough forms little pellets. If you need to, add up to 5 additional teaspoons of water. The dough is ready when it feels dry but will come together when squeezed with your hand. 3. Pour the dough out onto a floured board and kneed into a ball for at least 10 minutes. Alternatively, you can put your dough in a plastic zip lock bag and form it into a ball so that it is easier to bring together and knead. 4. When you are ready to make your pasta, set up your pasta machine so that it is stable and won’t slip from your work surface. 5. Cut your dough ball into 8 equal pieces (in half, then in quarters) and use one piece at a time, keeping the rest wrapped tightly with plastic wrap or sealed in your zip lock bag. 6. Roll out one piece until it resembles a flat, long shape. Sprinkle with some cornstarch so it doesn’t stick to the pasta maker. 7. Pass it through your pasta machine on the largest setting – it will be a bit rough on the edges but don’t worry about how it looks. Fold it over on itself and pass it again. 8. Reduce the width to 2 and pass through. Fold it over on itself and pass it again. 9. Reduce the width to 4 and pass through once. You’ll have one long strip that you can then cut in half. 10. Reduce the width to 6 and pass through one of the halves twice. Repeat with the other half. 11. Now you are ready to run it them through the noodle cutter attachment. 12. The two strips will yield enough noodles for 1 bowl of ramen. Sprinkle each batch of noodles with additional cornstarch, lifting up the noodles to separate and lightly coat them, then pack them individually in plastic wrap. Let sit for at least a day before using. If planning to use later, put them in individual zip lock bags and store in the freezer for up to one month. 13. Cook fresh pasta in a pot of boiling water. Depending on the number of portions, cook for 1-2 minutes. Shake out all excess water and lay a portion in your bowl of hot soup by folding them over onto each other so they do not look messy. Then add toppings. I'm so excited to share my Miso Ramen recipe with you! 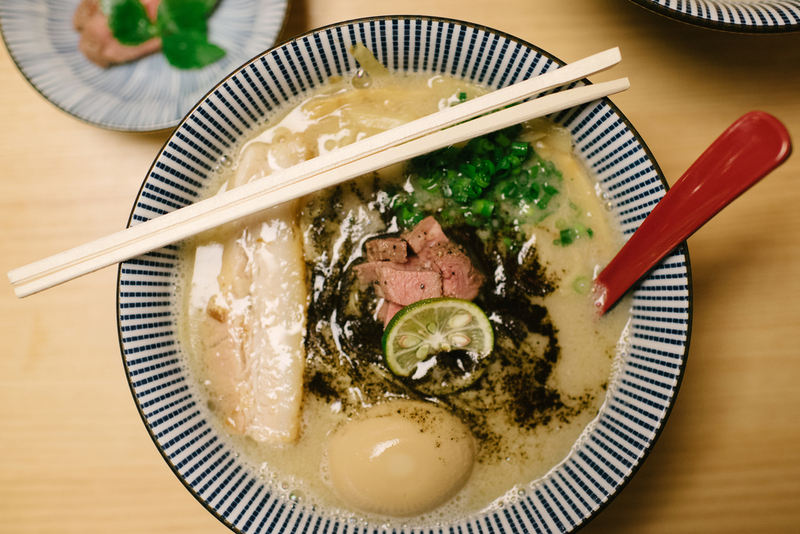 Just so you know, there are four main types of ramen soup bases - Miso (Fermented Soybean Based), Shio (Salt Based), Shoyu (Soy Sauce Based) and Tonkotsu (Pork Bone Based). The first recipe I'd like to share is for my Miso Ramen - but I want us to do this gradually so that you don't get intimidated by the ramen process. The recipe itself is pretty easy but in order to make a complete bowl of ramen, you'll have to do it in stages instead of tackling this all in one day. So, I'm having you start with a basic soup base, then I'll give you the recipe for fresh ramen noodles, then we can move on to some toppings. 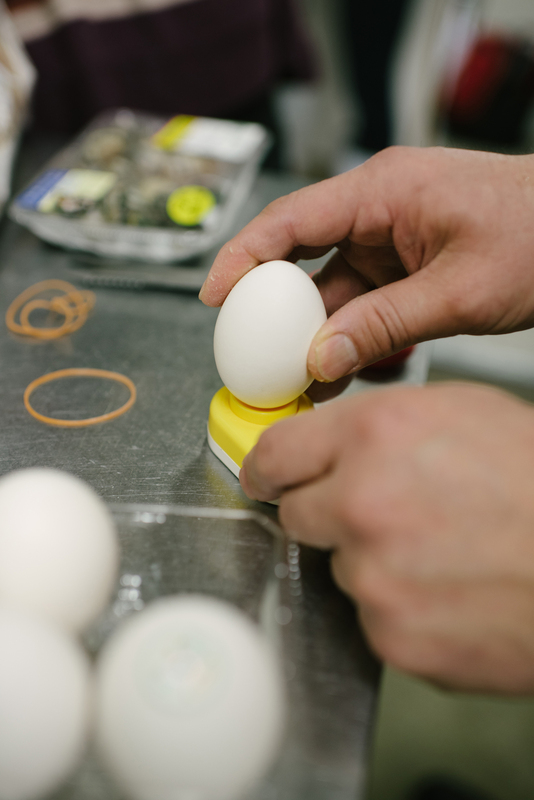 At the end of our ramen introduction, it won't seem so difficult if we take it step by step. 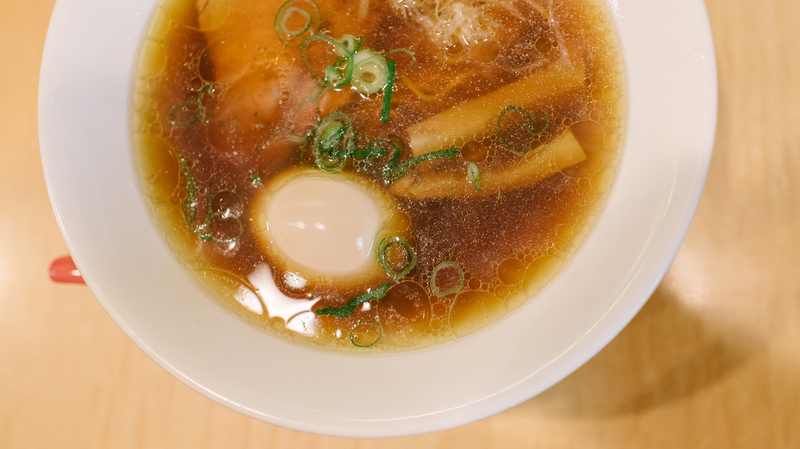 You will be rewarded when we put it all together for a super-duper-delicious-awesome bowl of ramen! After that we can move on to the other soup bases and lots more variations of ramen to turn you into a ramen fanatic! Before you do anything - your going to need bacon fat or grease - so fry up some bacon for breakfast and save that fat in a jar. You'll only need 4 tbsp so you should have plenty. Save the rest for later. 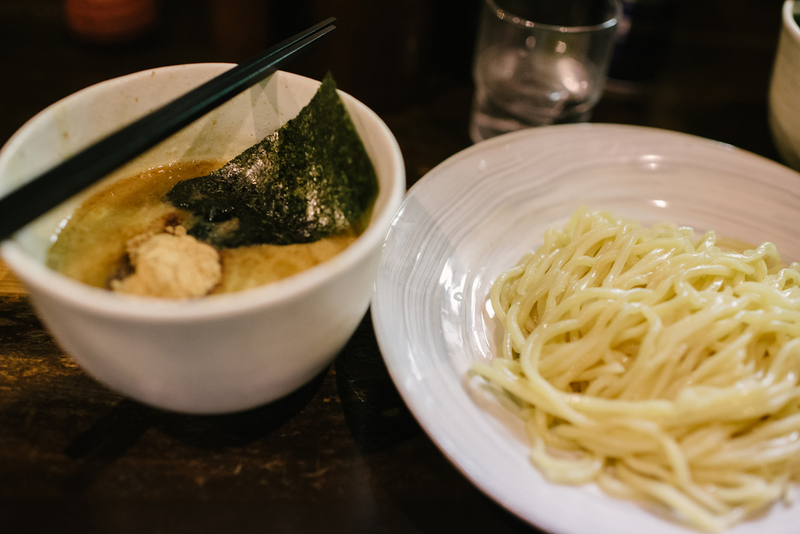 Miso Ramen originates from Hokkaido in Northern Japan. 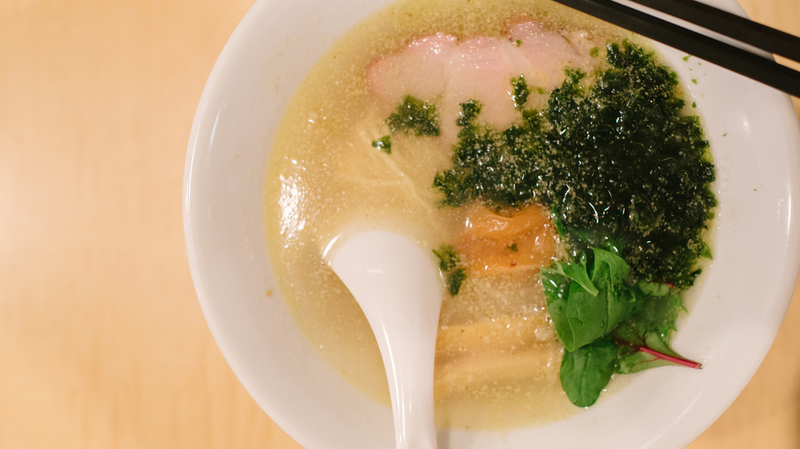 Winter’s are severe there, so it’s no wonder that the comfort and warmth of a good Miso Ramen is a daily staple. I developed my variation of miso ramen with the idea of creating a super flavorful base that you can have anytime by just adding a cup of vegetable or chicken stock to. The result is the convenience of having a one-person portion or a meal for many – all according to the base to stock ratio. Whether you're taking it to work for yourself or preparing a family meal, it will be worth the labor because once you make it, it’s practically instant. The ramen base can be saved for up to a week in the refrigerator or frozen for a month. Chicken stock or Vegetable Stock – store bought or homemade *** 2 cups per serving based on the number of servings. * you can omit the bacon fat if you don’t have any but we wouldn’t recommend it. Next time you are cooking bacon in the morning, simply save your fat in a container and refrigerate it! ** a trick to grating ginger: freeze your ginger in pieces with the skin on and take it out of the freezer right before you are ready to grate it. No need to peel the skin off, it is edible. You can find a Japanese ginger grater online or in any Asian cooking store. *** I recommend using a low-sodium chicken stock. If you are making your stock from scratch, do not add excessive salt as the miso base is very salty. Negi (green onions), sweet corn, chashu (pork belly), butter, half-cooked egg, garnish with nori (seaweed) square. 1. It is recommended to use a food processor but if you don’t have one, you can finely chop. Add carrot, onion, apple, and celery to a food processor. Pulse into a fine chop. 2. 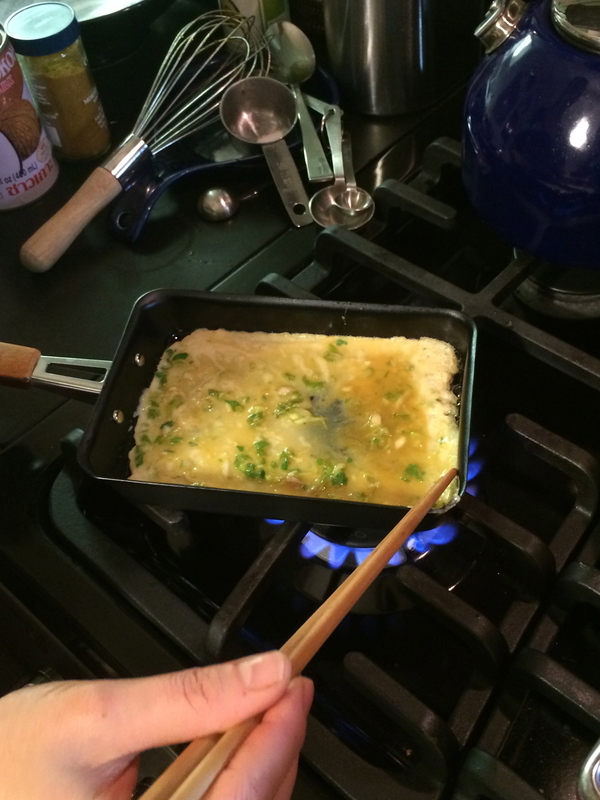 Add bacon fat and 1 tbsp of sesame oil to a large skillet over medium-high heat. Add the finely chopped mixture above and cook until onions are translucent and apple is tender, stirring occasionally, about 10-12 minutes. When done, turn down to simmer until you are ready to add pork. 3. Turn heat to medium-low. Next add your ground pork to the cooked vegetable mixture and cook the pork, about 5 minutes until no longer pink. Stir in the ginger, sriracha, soy sauce, kelp granules, apple-cider vinegar, and salt. Incorporate well. 4. Return the entire mixture to the food processor and pulse until pork is finely ground. Return to your skillet. 5. Add your miso to the ground pork mixture and mix well. It should have the consistency of a thick paste. Your base is done, remove from heat and set aside. 6. Place a pot of water to boil for your noodles. In a separate saucepan, bring Miso Base and broth to a boil, then lower heat and let simmer until it’s ready to serve. Note: It’s 3 tablespoons base to every 1 cup chicken or vegetable broth. Use about 2 cups soup per serving. Right before serving, crank it back up to boil. 7. Boil the noodles—if fresh, boil for about 1 minute; if packaged, boil for about 2 minutes. As soon as they’re done, drain well and separate into serving bowls. 8. Pour 2 cups soup over each bowl of noodles. Top each bowl with desired toppings.